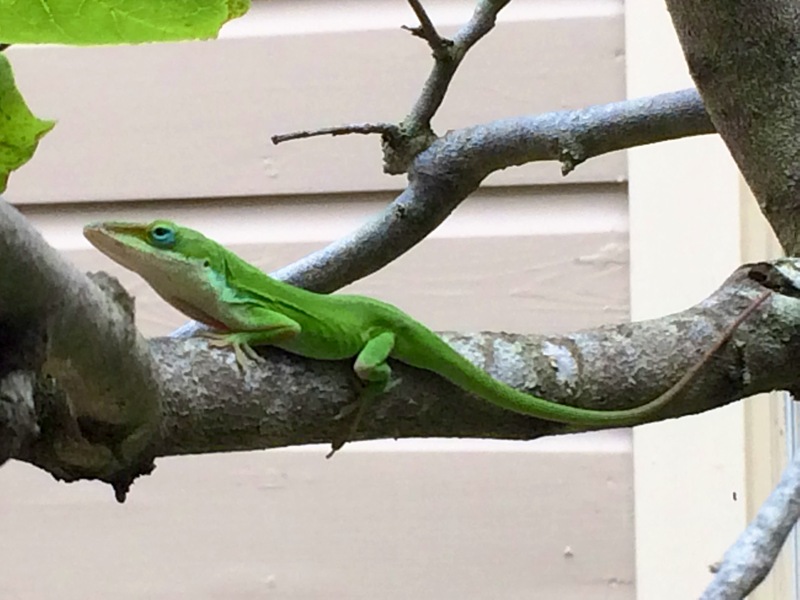 Two Sundays ago I spotted a small lizard on the chancel steps at Palmer Memorial Episcopal Church in the middle of the 11:00 a.m. liturgy (so the little critter prefers incense, I suppose). This past Sunday, in the afternoon, I saw a slightly larger lizard — pictured below — in the backyard of the Rectory. I think they’re kinda pretty. The small lizard that you encountered on the chancel steps lives in one of the closet plants that reside along side the steps. I met the little one when I was trimming and watering the plants. Little one loves being accepted and loved by the Palmers.